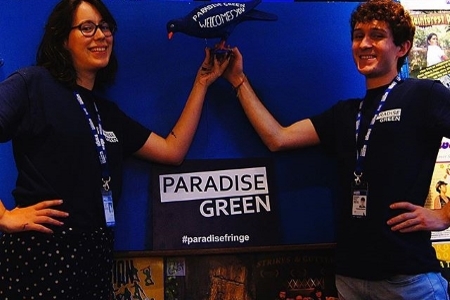 Shift times are varied during the week so that you will get a chance to get out to see the City and all that is going on during the Festivals; in so far as is possible, you will also get a full day off each running week you work for Paradise Green. 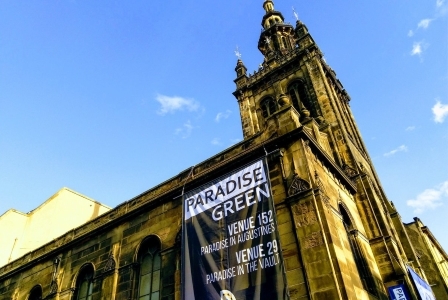 Paradise Green provides accommodation for all of its volunteers in a number of rented flats. We endeavour to ensure that all the flats we rent are close together; they are usually in the Marchmont area of the city, which is a pleasant walk of 15 minutes or so across the Meadows from the venues. Most rooms are shared. We will do our best to accommodate couples in a double room, and to ensure that friends are placed together in the same room and/or flat though we cannot always guarantee this. On change-over nights (i.e. the nights when new volunteers arrive for the following weeks) it may also be necessary for some people to spend one night in a hostel room rented by Paradise Green or in a sleeping bag on a sofa in one of the flats. We provide all the bedding you will require including sleeping bags, but not towels. Essentials for the flats (eg: toilet rolls and cleaning supplies) will be provided. Breakfast (cereals, bread, juices, etc) is provided in the flats. All volunteers are entitled to free hot and cold food from the Paradise Green kitchen and tea / coffee / juices all day. Paradise Green may also pay for you to attend training (such as Food Hygiene Certificate courses) before you come to Edinburgh, based on our needs and your stated interests. We offer a "reciprocal ticket" scheme whereby anyone working in (or performing in) our venues can get a free standby ticket to any show performing in any of our venues. Tickets are released on a first come first served basis about 5 minutes before each performance starts, providing there are seats available. Volunteers are positively encouraged to participate in this scheme, to become more involved with, and support, the shows in the venues. There are also arrangements by which our volunteers can get complimentary tickets to any of the shows in several partner venues on the same basis. House and Technical managers, this will take place on Saturday 8th June in the North or Saturday 29th June in London from 11am-4pm. You are only required to attend one of these dates. For Duty managers, training will take place on Sunday 9th June in the North or Sunday 30th June in London. You are only required to attend one of these dates. For technicians, this will take place in Manchester on Saturday 6th July. Some of our training is provided through an online platform prior to arriving in Edinburgh. This training equips you with good background understanding, which is supplemented with on the job training to perfect your skills. 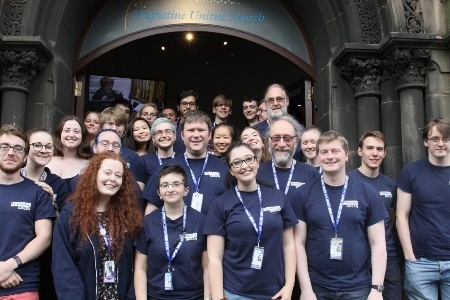 Volunteers are responsible for arranging and paying for their own travel to and from Edinburgh. The only exception to this is volunteers travelling to Edinburgh at the start of week 0, or leaving Edinburgh at the end of 4, for whom it may be possible to provide transport from/to the Manchester area.